One of the most common applications for LC Privacy Glass is in bathrooms and wet environments, where blinds & shades tend to get damp, dirty and need to be maintained. 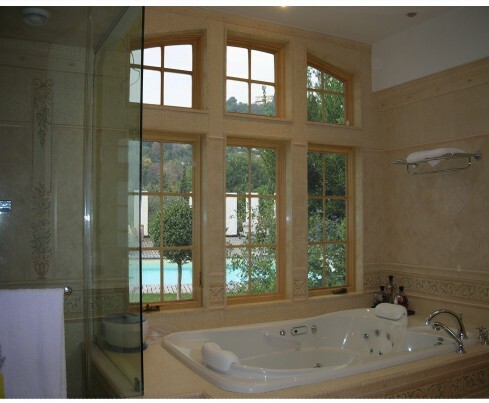 By incorporating eGlass into the windows, homeowners can feel fully secure and private in their bathroom. If you lose power, there is no need for concern, as the Liquid Crystal Privacy Glass windows will automatcially revert to their private state. Innovative Glass can provide completely glazed and pre-wired units in dozens of sizes, finishes and shapes, ready for builder installations. Privacy Glass frames are available in wood, aluminum, aluminum clad and 100% vinyl for wet environments.